Rabdi is an Indian dessert made of milk. The combination of Hot Jalebi & Chilled Rabdi is the best! It can be had with Gulab Jamun as well or even just like that! Cooking Rabdi is very easy, however it requires lots of time & patience. 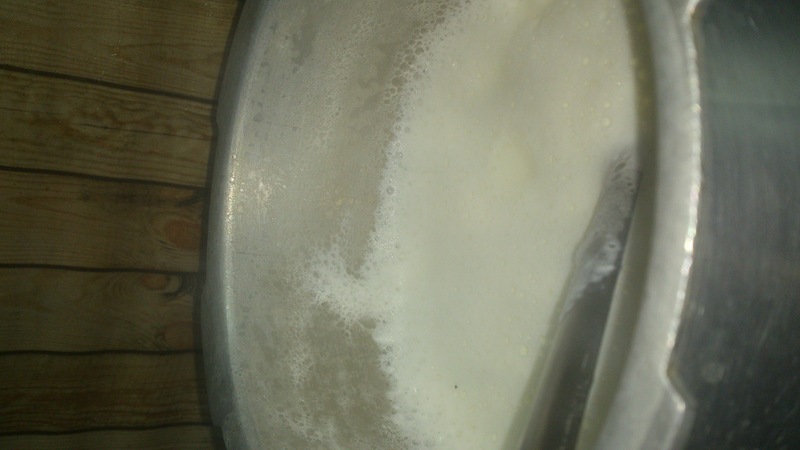 Boil the milk in a thick bottomed pan. Once the milk boils, slow down the gas & let it simmer. Keep a ladle in the pan & stir occasionally specially to gather cream from the sides of the pan & add it back to the milk. It takes approximately 90 minutes to get the milk to the desired quantity. Meanwhile you can keep the dry fruits chopped. I am not very good at chopping & I discovered this super easy method to “not” chop dry fruits. 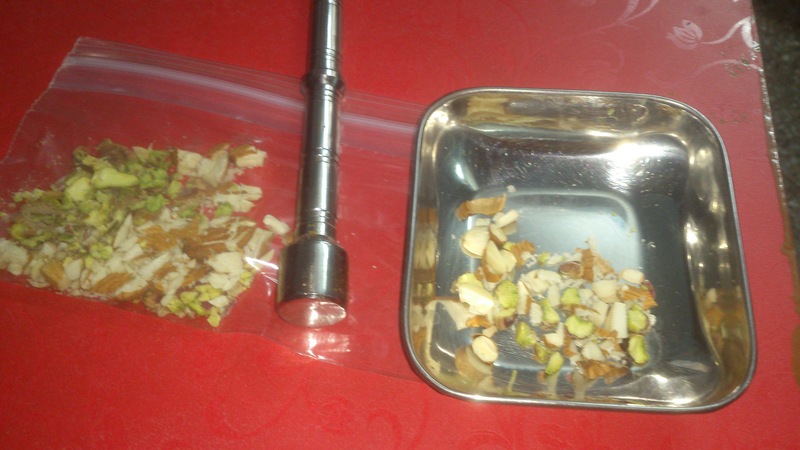 Put the dry fruits in a zip-lock back, seal it properly & mash it with a kitchen mallet. Once the milk reduces to 1/4th of the quantity, add the sugar. Once it reaches a granular consistency, switch off the gas & add cardamom powder. 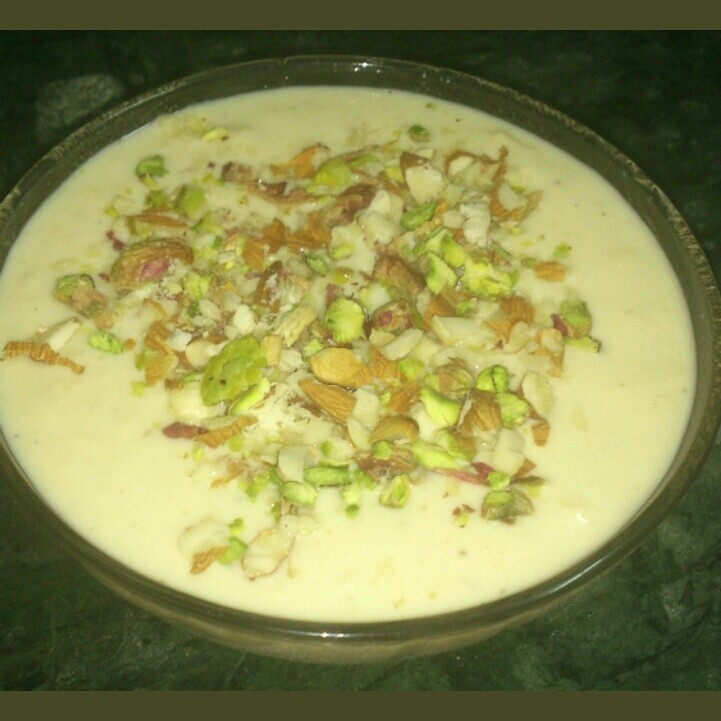 As soon as the rabdi cools, garnish with chopped dry fruits!